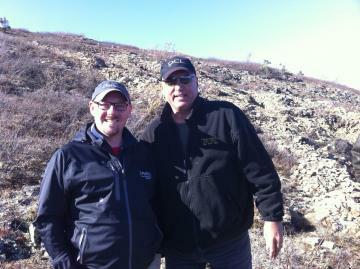 Greg with Kaminak CEO Rob Carpenter on site at the Coffee project in the Yukon. 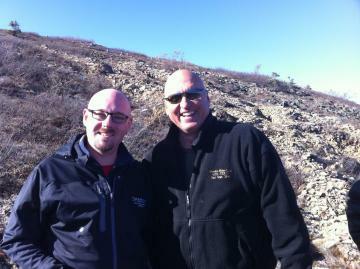 Two aliens were discovered while we were on the site visit! 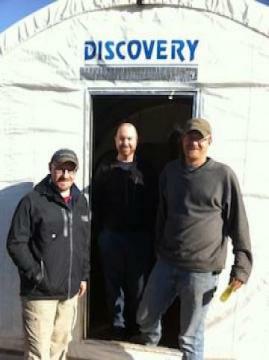 Kaminak team responsible for the discovery of gold at the Coffee project. 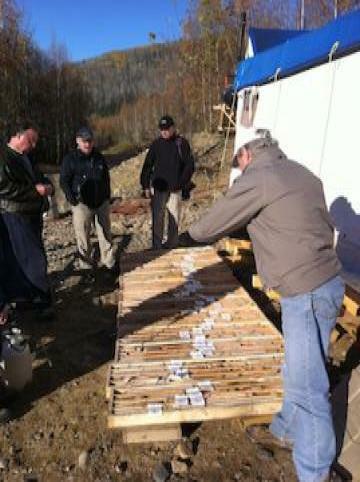 Greg with another analyst checking out the latest drill core from the Coffee project. 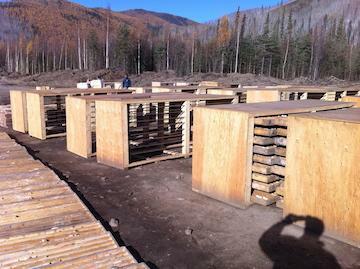 Storage bins for drill core at Kaminak's Coffee project. Core sample with stellar results. 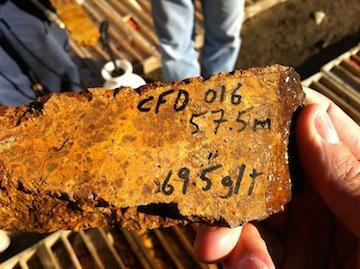 (57.5 meters of 69.5 grams per tonne gold) Microscopic gold is contained within the rust-colored material. 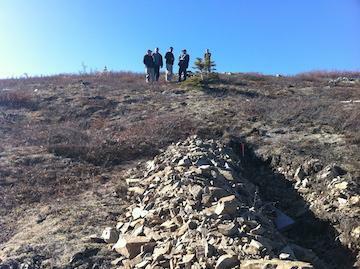 Thistle creek near the Kaminak base camp. These smaller streams contain placer gold that has eroded from a source gold resouce at higher elevations. 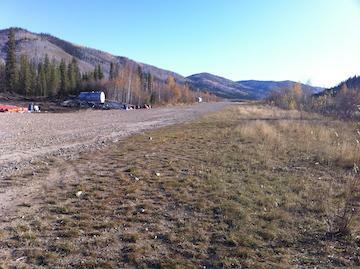 This placer gold travels down the streams into the Yukon river. Trenching at the Coffee project that yielded high grade gold soil samples. A great indication that this is where we need to put some drill holes. 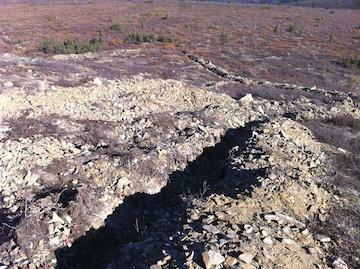 Another trench that yielded good gold values in the soils. Hiking back to the helicopter to get our ride back to the base camp. Runway at the Kaminak base camp. 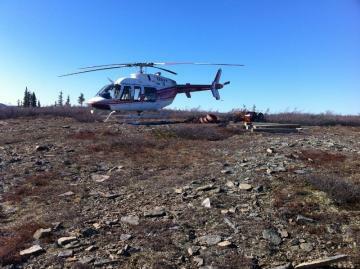 When we flew in for this site visit the weather was really bad making this landing very scary. The plane had four 250 pound propane canisters secured to the bulk head behind the pilot's seat. One of the other analysts on the plane was not used to flying in this manner. He was very happy to get on the ground. 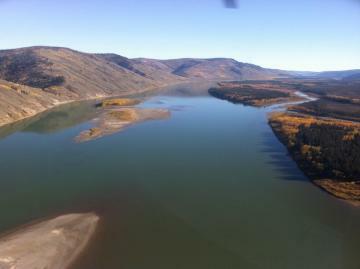 Beautiful picture of the Yukon river from the helicopter on our way back to the base camp.